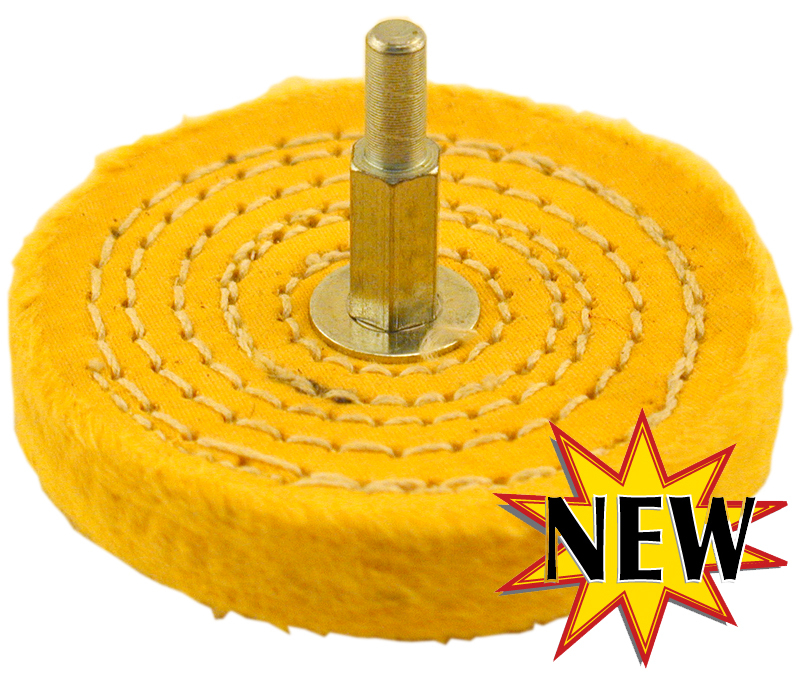 3" Spiral Sewn Treated Buffing Wheels have a special chemical added to the cotton which gives them more aggressive cutting action allowing them to work faster than standard cotton spiral sewn buffing wheels. The chemical treatment will also give these buffs a longer lifespan. These Treated buffing wheels would be used as a substitute for the Cotton Spiral Sewn buffing wheels in the first step of the polishing process. These treated wheels are 3" in diameter with 46 Ply (3/4" thick). 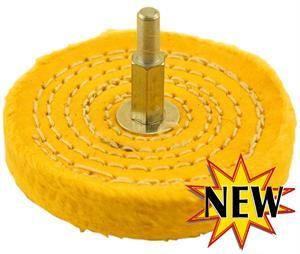 Mounted treated buffing wheels are for use with any standard electric or battery operated drill that takes a 1/4" shank. All Buffing Wheels must be used with polishing compound.